‘Tis the season for snowflakes and snowmen, Christmas trees and handmade ornaments! I wouldn’t call this project “mini,” but it is fairly small. I added the little cardstock roof, door and window to the Smoothfoam house. I cut them out of scraps of off-white paper I had handy. Read on for the supply list and instructions! 1. Paint the snowflake light blue. Paint the house light pink. Allow to dry thoroughly. 2. Cut a roof and door for the front of the house and any little details you want to glue on from the cardstock. 3. Stick a toothpick in the bottom of the house. 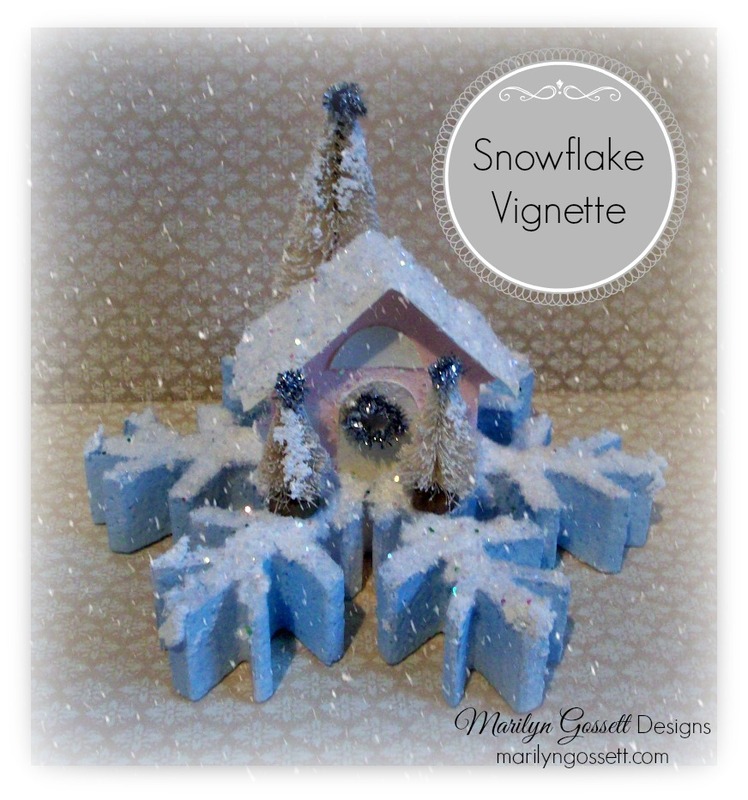 Trim the excess to 1″ and poke into the middle of the snowflake. 4. 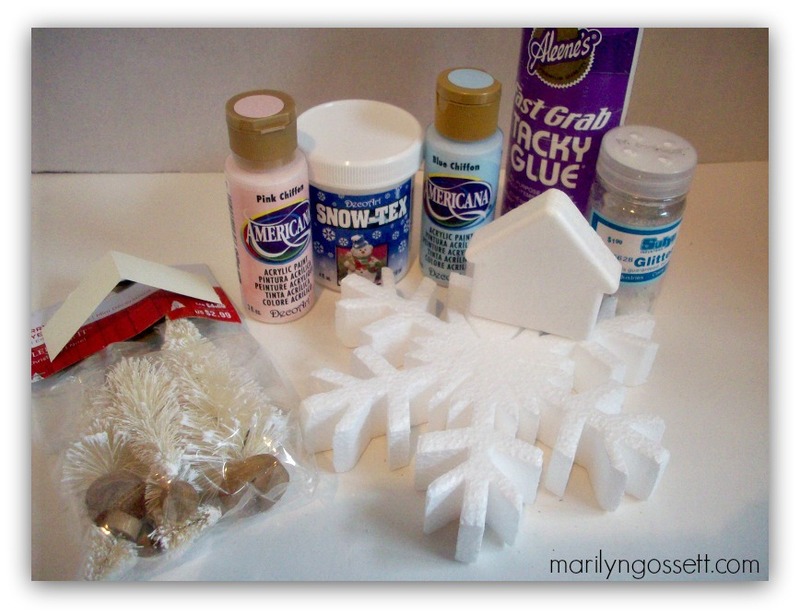 Follow the manufacturer’s instructions and apply some Snow-Tex medium to the top of the snowflake and to the roof of the house. Don’t have a snow storm by applying too much! Smooth on little bits at a time until you have the desired effect. 5. Apply glitter while the medium is wet and shake off excess. Apply glue to the base of each tree and push into the wet SnowTex. 6. Cut and make a tiny wreath from the tinsel stem and glue it to the front of the house. Glue a little piece of the tinsel to the top of each tree. This entry was posted in Holiday Crafts and tagged Blue, Christmas, Special shapes, Tabletop by Marilyn Gossett. Bookmark the permalink.